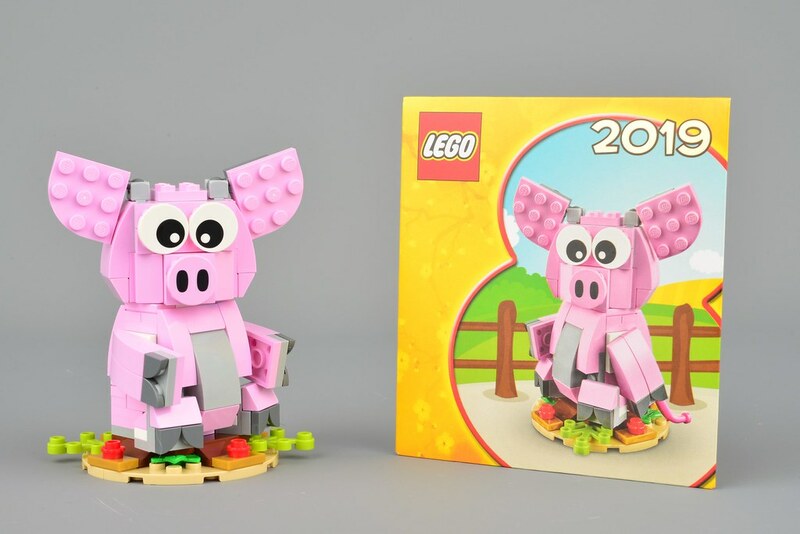 The Chinese new year commences on February 5th and this year LEGO has released an unprecedented number of sets in celebration, some of which will only be sold in the region. 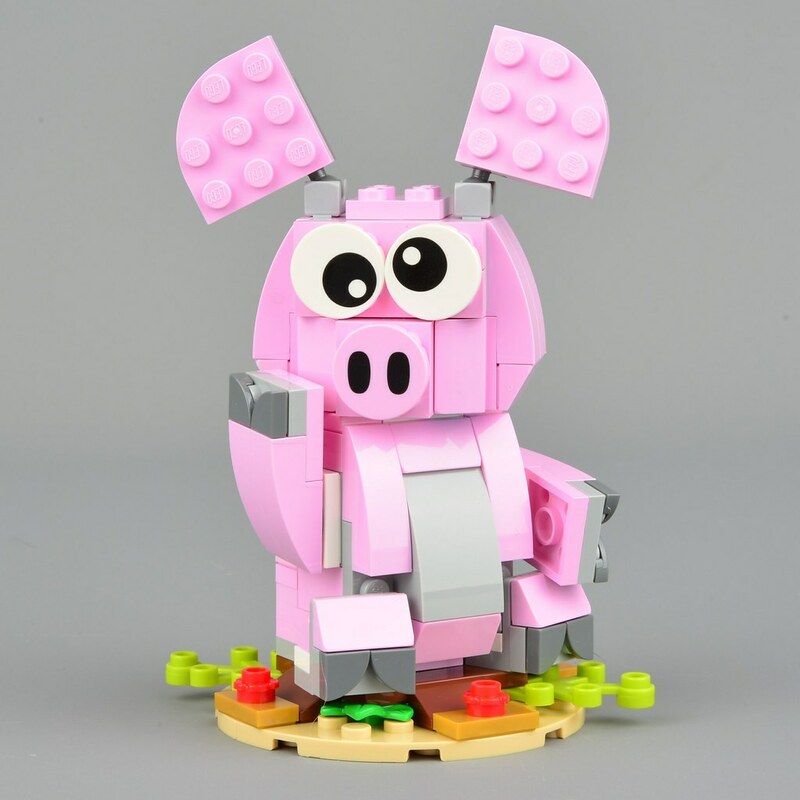 One that will soon be readily available to everyone is 40186 Year of the Pig, the fifth in a series of similar sets that depict the appropriate animal for the year. 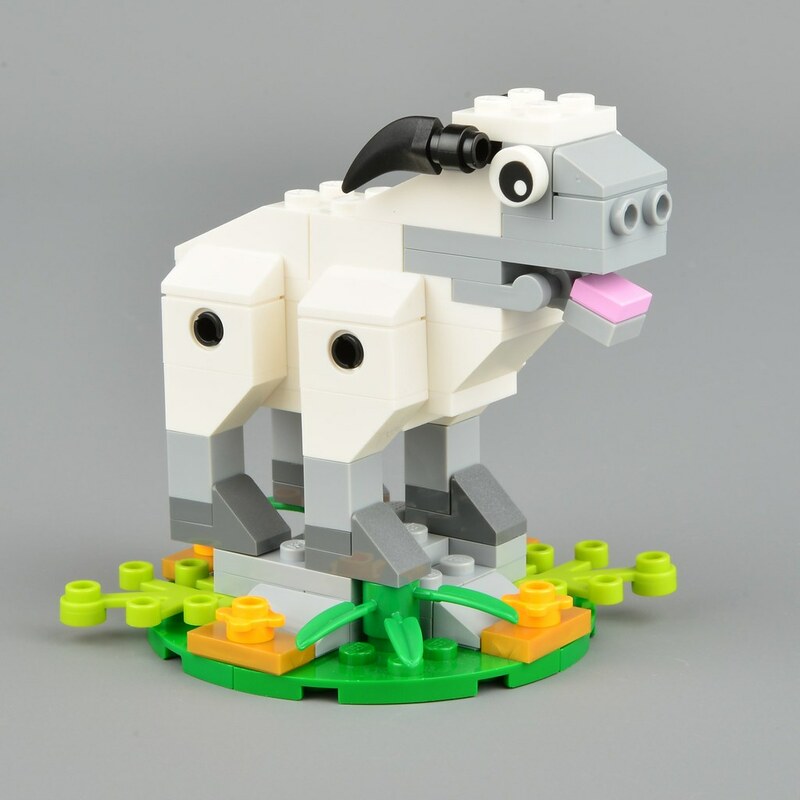 From 28th January it will be the gift with purchase at shop.LEGO.com. Before I knew about that I ordered a couple on Bricklink from a seller in Malaysia, so I can now bring you this review ahead of the promotion. The money packet inside is an important aspect of the set and should be filled with cash before gifting it to someone. Chinese money packets are often red and gold so this one has gold embossing: 2019 on the front and a pig on the back. 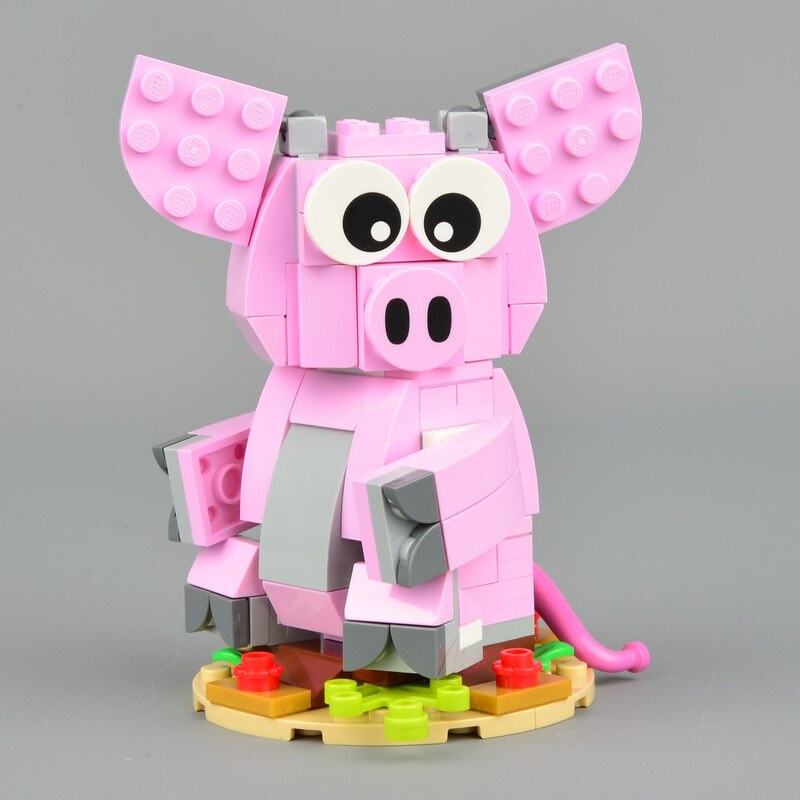 The pig is mounted on a 4x4 round base which is similar in style to those found in previous sets of this type, as you'll see below. 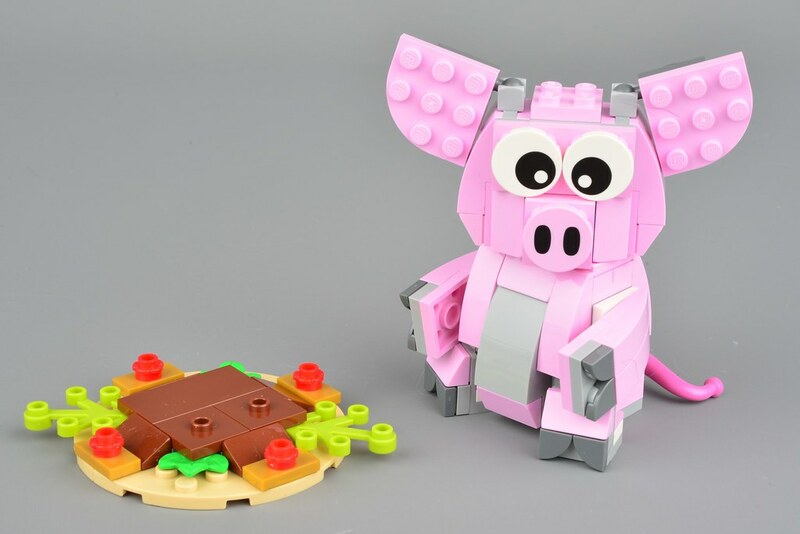 The animal itself looks very cute, and it's refreshing to see it modelled in pink rather than some inappropriate colour like this one and this one. 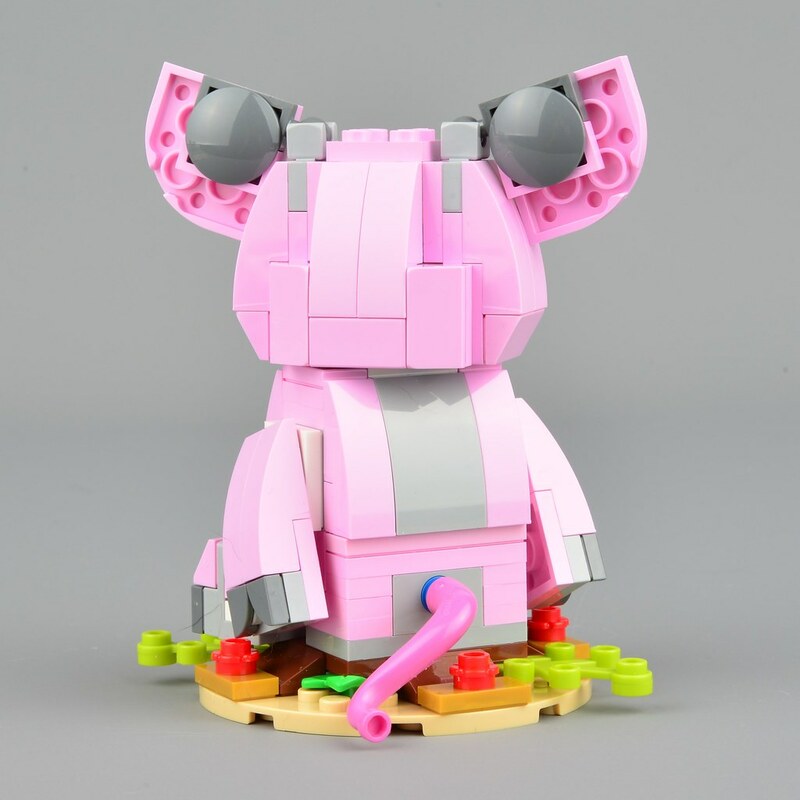 Its nostrils are printed on the 2x2 round tile and that is the only new part in this set, so designer Mel Caddick has done well to create it using just the relatively limited selection of pink (LEGO: Light Purple) pieces available to her. The curved contours of its body continue round the back. The neck is on a turntable and the front legs can be rotated to reposition them behind the back legs should you wish. Pictures on the box encourage you to move the eyes and ears to make a goofy looking beast. Overall then, it's a nice model which will be even better when free as a gift with purchase. Did you get my message about the promotion to do this? Is it a worldwide promo on the 28th? I only saw official word for the UK. I really miss the calendars outlining the entire month so we could plan trips to the Lego store better. Thanks for the review and for posting the little collection. The new sheep base fits in much better:) Last year I bought The Year of the Dog on Ebay for my son's 24th birthday. This year I hope to get the pig for my sister's upcoming 60th. I might try and get one for myself, too. free? and how much to purchase? Love the photo of all of them together. Really makes me regret not trying to collect them from the start! glad i've held off on my next planned [email protected] purchase! 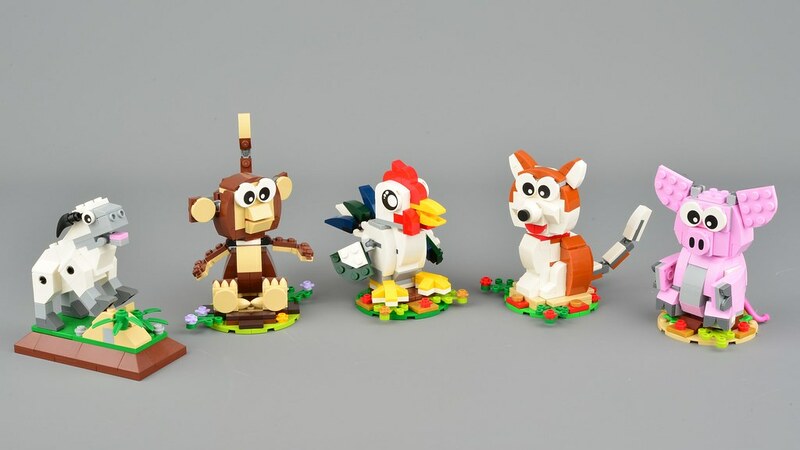 Interesting to see that they are finally making some new Chinese New Year sets available, hopefully, to everyone, not just region specific. For free (with purchase) no less! I think it’s a really cool, fun-looking model, although even if some folks don’t like it, at the very least it’s a pretty nice parts pack! I was wondering what the next upcoming [email protected] promotion was. Year of the rat? Oh joy. Kid: Mommy, what is your animal for your year? Kid: And what is mine? I believe according to legend, there was a race between all the animals where the first twelve animals to cross the finish line get positions in the zodiac, and the rat was first place (because he rode on top of the ox and jumped ahead of the ox towards the finish line). The rat may be small, but also clever. For those in the USA that are wondering, I just spoke to customer service, and it sounds like we'll get that one, too! Year of the rat, you say? 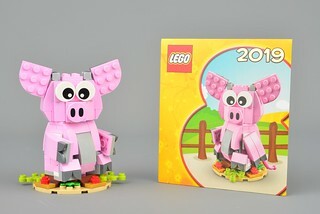 Looks like I'll be buying some lego in Febuary 2020. Hmmm... I'm year of the snake, I believe. But snakes don't make for very good LEGO builds. Maybe I'll have to pretend I'm something cooler, like a rat. Well, I'm year of the pig, so I'm in. My brother is turning twelve this year so I wonder if he’ll end up getting it.